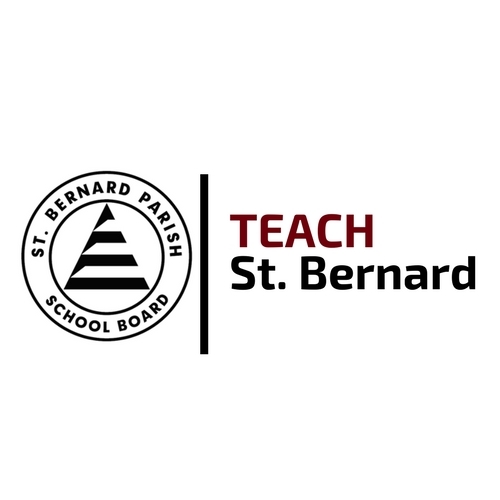 The St. Bernard Parish School District has recently released the Program Application for Teach St. Bernard – an alternative certification program for recent college graduates and career changers looking to teach in high-needs subjects in the school district. State testing will take place for St. Bernard Parish students throughout the months of April and May. St. Bernard Parish Public School District is one of the few districts in the state to offer a universal, tuition free Four Year Old Preschool Program. This program is for all children residing in the parish who will be four years of age by September 30, 2019. The St. Bernard Rotary Club recently held its 18th annual Adult Spelling Bee at Chalmette High School. This year, over 20 teams representing a wide-array of businesses and civic organizations, took part in this fun, fundraising activity. 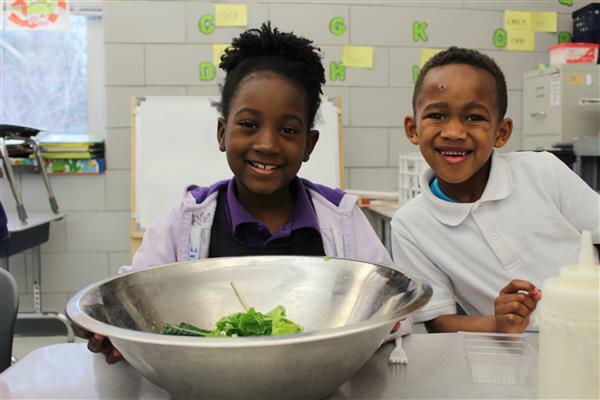 Learning where food comes from and how to prepare nutritious meals has become a component of the curriculum at W. Smith Elementary School. Thanks to a grant from Louisiana Team Nutrition, students have the opportunity to create a tower garden to grow fresh produce such as bibb lettuce, gourmet lettuce, rainbow chard, and kale. 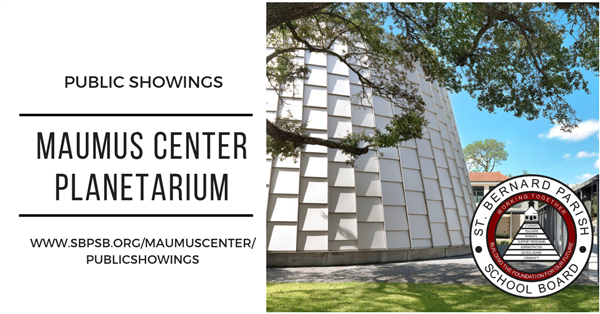 The Maumus Center, St. Bernard Parish School District’s premier science facility and planetarium, has announced its spring series of full-dome video presentations. 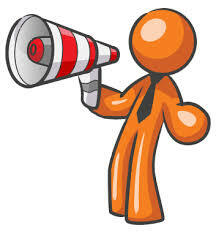 With new offerings, audiences of all ages are sure to be excited. 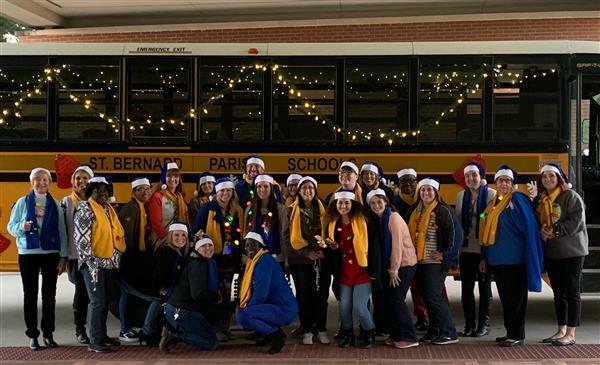 Over 200 educators brought joy throughout the parish, Christmas caroling at neighborhood bus stops for families and students. The tradition was started last year by the administrators at Arlene Meraux Elementary School.